Bringing up a child who is born with an ingrained love for everything natural and wild can be gratifying as well as challenging. Your wild child will often cheer you up with several unexpected "awww" moments, but will also be prone to landing himself or herself, and you, in several tricky situations. My 7-year-old nephew Nishu often ends up doing exactly this. One of the biggest challenges you may have to face will most likely involve a "pet". You and your wild child may not have the same preferences. Like when one day, out of the blue, I received a call from Nishu. With his infectious enthusiasm he sang into the phone, "Masi, I found a new pet. His name is Dittu." I assumed that it was a dog and asked, "Wow, how big is it and which colour?" "It is very tiny, Masi, and it is completely white, except for its nose and tail, which are pink." I'd never heard of a dog with a pink tail. But before I could say anything, he added, "And its eyes are round and red." Red Eyes??? There was definitely something wrong with the dog. "What breed is it?" "It is a white rat, Masi". I couldn't believe my ears. I don't mind rats, but I don't want one lurking in my home. I pitied my poor sister then, and my fears were soon realized as the rat wrecked a havoc. It nibbled its way out of the case it was kept in, and chewed through the fabric of their beautiful white sofa. My brother-in-law extracted the rat from its comfortable hiding place inside the sofa with much discomfort. They had a tough time explaining to Nishu why he could not keep Dittu as a pet. Nishu being a reasonable child reluctantly agreed. Dittu was soon returned to its previous owners and Nishu's brief relationship with it ended. Another challenge that one may face is the wild child's indiscriminatory love for all living things. One evening Nishu and I were taking a walk in the park when Nishu saw his very first ladybug. He was mesmerized by the beautiful insect and he asked whether he could carry the creature to his garden. 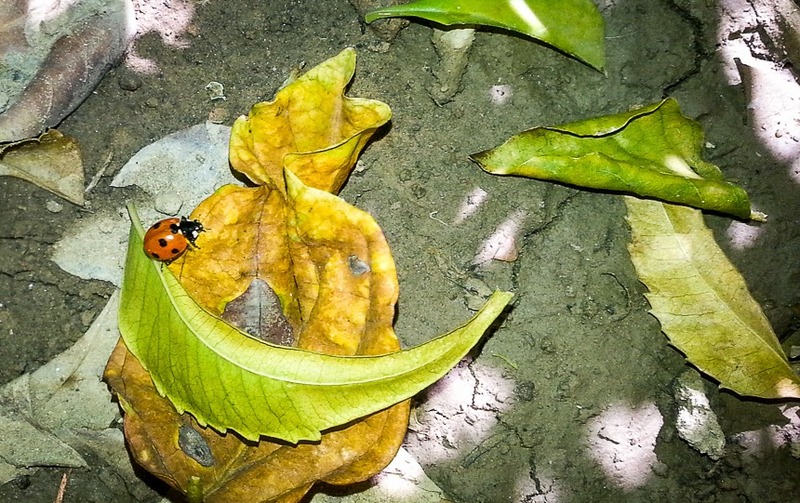 I saw no harm in binging home one ladybug, so we held out a leaf to it and patiently coerced the little insect to climb it. We carried it home in the basket attached to Nishu's bicycle, and Nishu's joy knew no bound when the pretty little bug hesitated a bit but then climbed on to one of the plants in the garden. He watched the bug carefully for days, until one day it mysteriously disappeared. Nishu was in tears but then his keen eyes started noticing other insects, and soon centipedes, catterpillars, worms, spiders, mites were finding their way into the garden. While we didn't mind most of them, when one very hungry catterpillar chewed off most of the leaves of my sister's favourite coleus, she knew it was time for another reasoning session, this time with partners-in-crime Nishu and me. If you are blessed with a wild child, you will also need to be very tactful as the child will most likely have a very sensitive heart. Something as commonplace as a dead spider will send the child into deep contemplation, and you will find yourself explaining complicated concepts such as death, birth, God, and life very early on. Nishu was around five when his first fish died. He was distraught when it was taken out of the tank and buried, and he kept on questioning my sister for days. He was very concerned about how the little fish will find its way back into the tank, and whether its other fish friends were sad that their friend has gone away. Not only did my sister feel helpless as she felt she could never make Nishu feel completely comfortable about the truths of life, she also had to deal with a moody 5-year-old for days. But at the end of the day, a wild child will help you see the world afresh through the eyes of an inquisitive and innocent nature lover, and all of the above challenges will seem completely worth it. 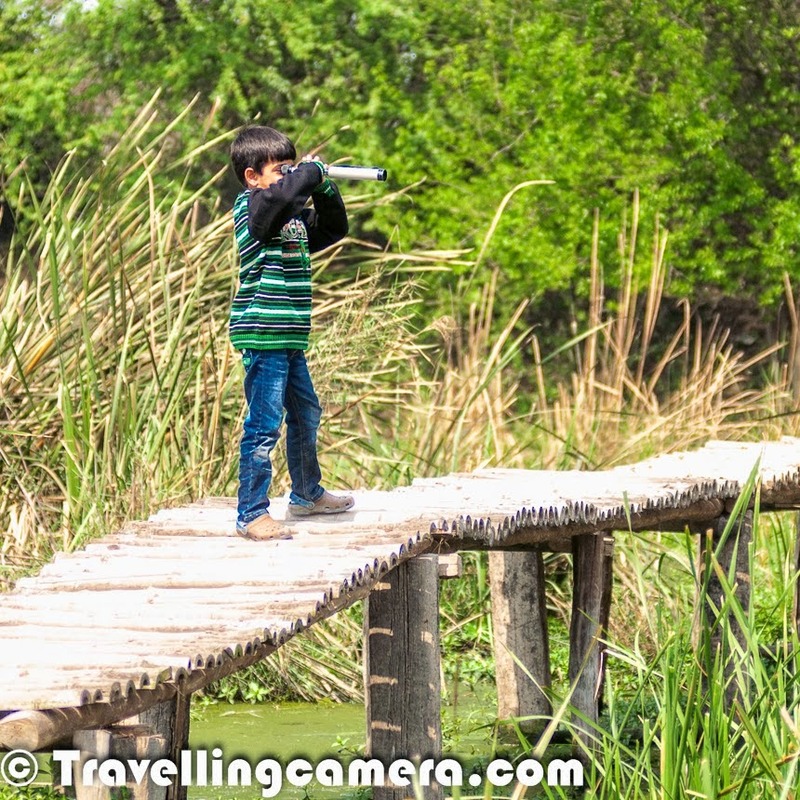 Your trips will be much more fun with your child enjoying the outing as much as you do. You won't have too much trouble sending the child out to play, though you may find it difficult to get him or her to come back in. School projects that involve nature will be much more fun as the child will take equal interest in them. Your child will take on new hobbies every day and most of those will be for the greater good. 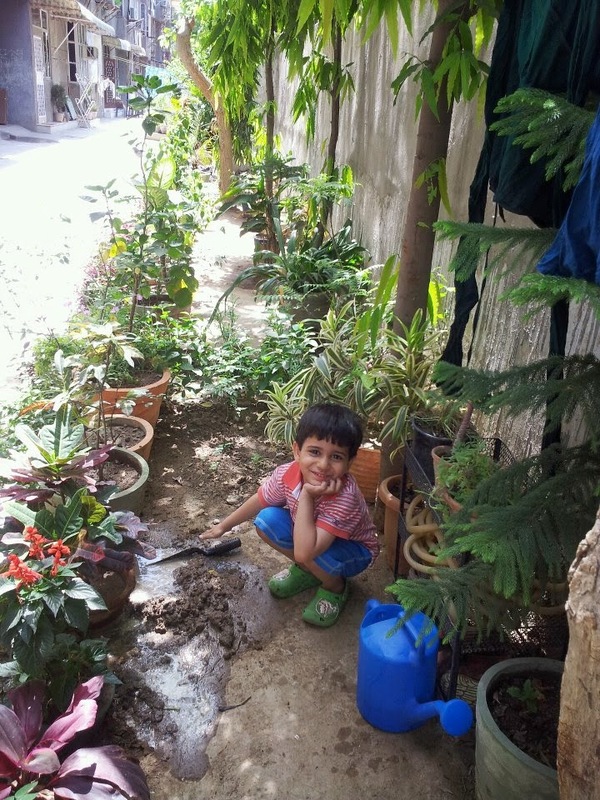 Nishu has recently started growing plants; his first ones are tomato plants he grew from the seeds he found under the cap of Kissan ketchup bottle, following the instructions on Kissan's website. 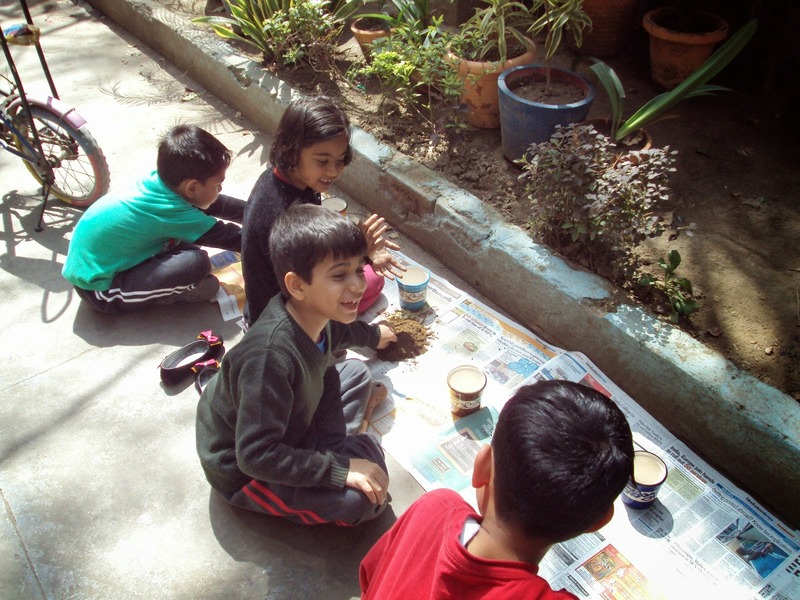 He also motivated us to conduct a workshop called "Pot a Plant" for his friends. And he has also started bird-watching. 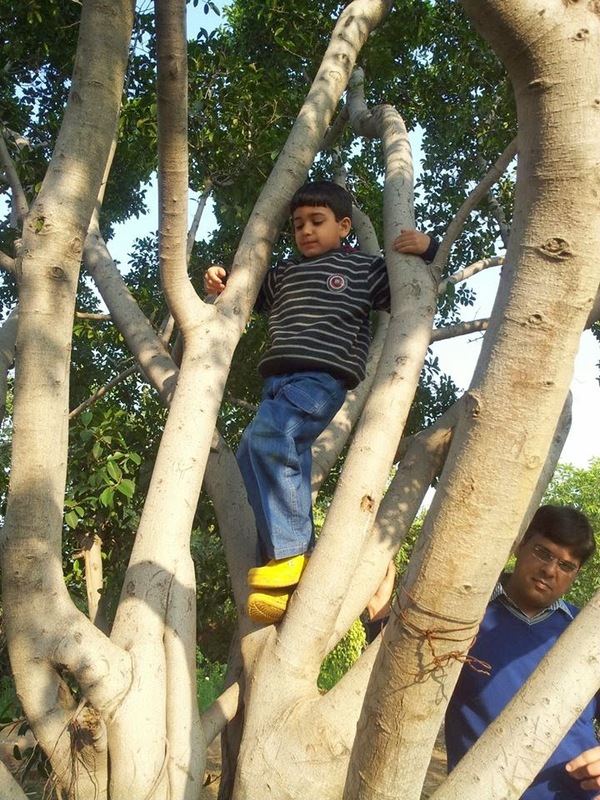 The wild child's love for nature will most likely mean that he or she will grow up into a conscientious model citizen. It will be easy to get him to develop habits that are environment friendly, such as switching out lights when leaving a room, saving water, and not littering. A wild child is God's own gift to you – so the next time your child starts digging and playing in the mud, don't be too quick to stop him or her. Sit and observe for some time, and you may discover that you are indeed blessed with a wild child.